As many as three Kalashnikov-toting shooters were being sought following the 11:30 a.m. attack at Charlie Hebdo, the publication known for challenging Muslim terrorists with a 2011 caricature of Prophet Muhammed on its cover and which recently tweeted a cartoon of Islamic State leader Abu Bakr al-Baghdadi. Two policemen and several journalists, including the cartoonist behind the weekly publication’s provocative images, were among the dead. This is a clear revelation of Satan’s purposes in the demonic stronghold of radical/militant Islam. It is to destroy any dissent and rational thinking in regards to the deceptive foundations of Islam. What the Islamists seek to do is to quench freedom of speech by putting to death all those who dare to speak the truth. Now of course, no Christian likes to hear Jesus made fun of either. Many of us have resented those who have challenged the basis of our faith. But because our faith is based on historical facts and revelation that can withstand both humor and the withering glare of historical criticism, in the long run we end up with much stronger foundations for the truth that we proclaim and live by. And we have a faith that is freely chosen which is just what God intends. He honors our freedom as well as our minds. He wants us to come to Him freely and also rationally with the claims of the Christian faith evaluated as to their truth and historical veracity. And let’s face it, part of that process of coming to a rational understanding is to have the freedom of speech and thought to be able to laugh at ourselves and even our most cherished beliefs. Radical Islamists who kill people to uphold the honor of their prophet, not only reveal that they have a “bad religion”, but one that is founded on a set of beliefs that cannot hold up under satire and humor or rational historical analysis. Attacking this newspaper that dared to be critical of radical Islamic leaders and their false religion, is not an anomaly. It is the intention of radical Islam to shut down free speech. This is all well documented in Mark Steyn’s book, Lights Out: Islam, Free Speech and the Twilight of the West, published in 2009. This incident just proves the true nature of radical Islam and confirms its kinship with all the other totalitarian systems of thought, government or religion that have been the bane of humanity. All have used the choice weapons of death, dungeon and intimidation to oppose and shut down free speech. What can we as Christians do to overcome this growing evil of radical/militant Islam with the Kingdom of Jesus Christ? In November, 2014 we videotaped a course on high level spiritual warfare at the COC. I was joined by Doug McMurray, Bernie McGale and Dan Juster in the teaching. During this time, I received three clear words of guidance which have been discerned and we are acting on. All of which relate to what just happened today in this terrorist attack intended to quench freedom of speech. First, we were to turn those videos into a special course. The first installment of “Kingdom Advance” was released recently and now we are ready to release the second section of the course: Praying Father, Thy Kingdom Come. As you may remember, this course focuses on equipping and mobilizing prayer for advancing the Kingdom of God. 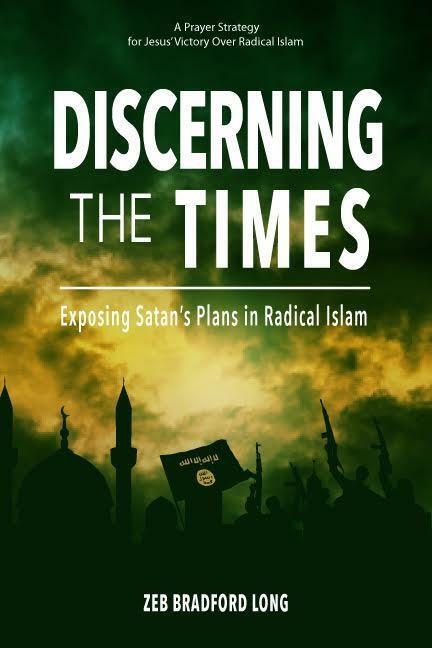 It covers a range of topics from presenting a Biblical history of the Kingdom of God to engaging the stronghold of radical/militant Islam, to advance the Gospel of Jesus Christ into the Muslim world. Of special concern is showing how both Jews as well as non-Jews who accept Jesus Christ as Lord and Savior must be united together if the Kingdom of God is to prevail over the Devil’s plans. Our final three sections to be released are: The Father’s Master Strategy for Advancing the Kingdom of God, Discerning the Times, and Into the Battle with Jesus Christ. So stay tuned! Second, the guidance came that we were to put some of this teaching into book form for wide distribution. The purpose is to help mobilize, equip and deploy intercessors worldwide to bid the Father continue the great wave of the Holy Spirit as Kingdom advancement into the Muslim world. I have been consumed by working on this book project. Bernie McGale has joined me in the writing. Steve Strickler will be our editor. This will be a type of battle manual for intercessors. When I read about Islamists trying to shut down freedom of speech by killing people, it stirs up in me a great passion and a single-minded goal to equip the world Church to join as one to overcome radical Islam with the Kingdom of Jesus Christ. 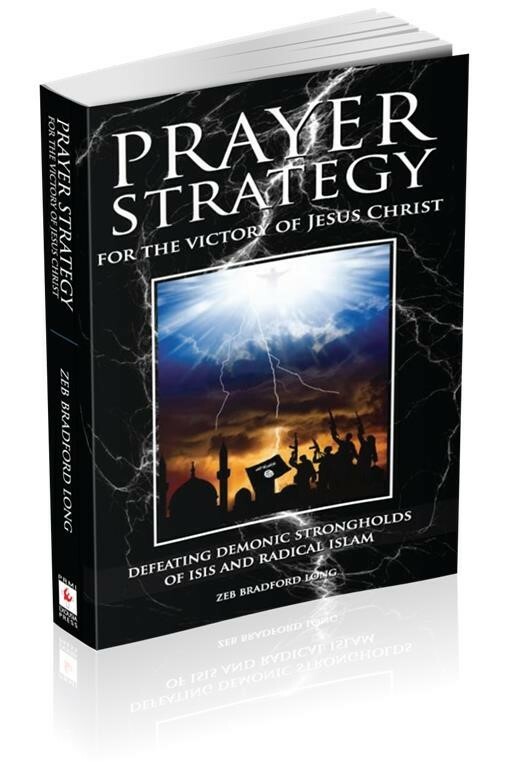 The purpose of this book is to call, mobilize, and equip intercessors the world over, who may then be deployed by the Holy Spirit into this warfare. Please pray for us as we undertake this project. It is fraught with many dangers. Pray that Bernie and I in the writing, and Steve in the editing, will have the anointing of the Holy Spirit upon us to do this work. Also pray for our strong protection as we are led to name these strongholds. Third, I received a word calling me to visit Israel as soon as possible. I struggled with this a long time. While creating the course, both Doug McMurry and I experienced the Lord calling us to go to Israel so that we could connect first hand with the work of the Holy Spirit there. We were also told to go in order to assess the battle field situation as Satan is raising up the demonic strongholds of radical/militant Islam. Doug received the guidance that we were not just to go alone. We have prayed about this and discerned that our wives should accompany us on this trip. They were to be personal intercessors for us. It also happens that February 2nd is my 40th wedding anniversary! None of us have been to the Israel and so this is a new experience for us. And one that we are undertaking in faith. I believe this is God’s mission. I also believe the Lord is designing special equipping for us to become more effective intercessors. It is a pioneer exploratory trip, January 27th-February 5th. We will be hosted there by Dan Juster, leader of the Messiah Jewish Congregations in Israel as well as in the USA and Canada. Humbly we ask for your strong prayer support as we travel. I confess to you that this step of faith is not covered in the PRMI budget at all. By faith and seeking to obey the Holy Spirit’s direction, we have bought air tickets to Israel. Thank you in advance for asking the Father to supply all costs for this endeavor. Thanks. Please share with us discernment you receive from the Lord. A quick report on my back. Thank you for praying. The pain moved to my right hip in November. I am making some progress through physical therapy. My physician gave me a cortisone shot a week ago. He also suggested that there may be more going on than just the physical. You see how I appreciate and depend on your prayers for me! Again, thank you for your partnership with PRMI in building the Kingdom of God!